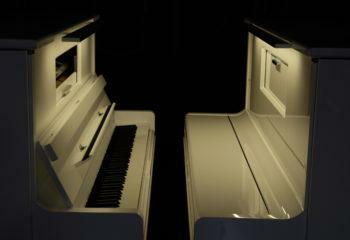 In cooperation with Stephen Paulello and Denis de La Rochefordière, FEURICH have come up with a totally ground-breaking and unique innovation in the world of piano building. The fourth pedal offers access to a new world of sound for acoustic grand pianos. 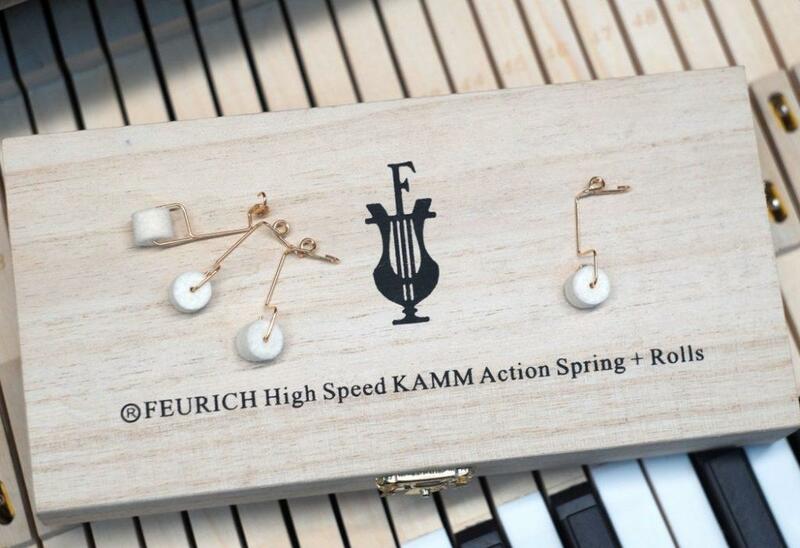 For the FEURICH 123 – Vienna, we have developed a completely new concept for the upright piano action. 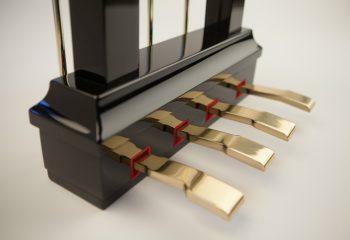 Produced by Renner, and implemented in a newly-patented system, this piano action enables a speed of repetition previously unseen in an acoustic upright piano. The newest innovation by FEURICH is the new upright, the FEURICH 123 – Vienna. This upright piano exhibits numerous unprecedented innovations in the design of its action, casing and pedal system, and can even be played without any casing at all. 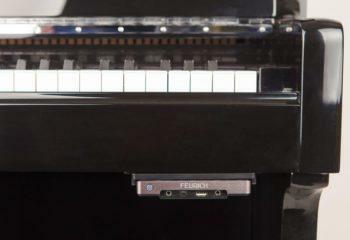 With our own Real Touch Silencer System you can easily mute your piano and play in headphone mode. Thanks to this innovation, it is now no longer a problem to enjoy playing your instrument at any time, day or night.